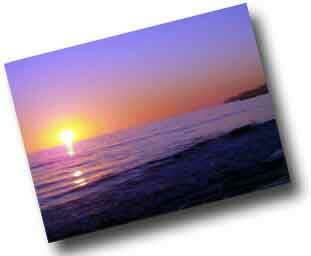 Please join us for a fabulous trip up the coast to Santa Barbara as we honor our Dads! 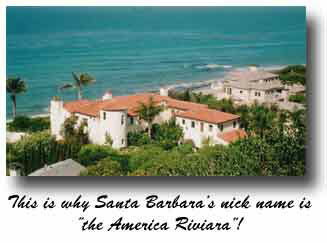 Santa Barbara will be a delightful destination - all kinds of things to do and see. We'll take you there in style, aboard the Overland Trail, then drop you off for a very nice layover of about 6 hours. Even enough time for a local wine tour! Southwest Frittata, sliced chicken sausages, Belgium waffle, an assortment of breakfast breads, fresh fruit, yogurt and more. Beverages include: coffee, tea, milk, juices, various sodas including the Overland Trail's official soda pop, Stewart's fountain classics, and wine. Food and beverages are included in your fare! Fantastic vista's from the Overland's large picture windows. Streamline Moderne ambiance that just won't quit ... you feel like your on a 40s movie set. Camaraderie with like minded travelers. Snacks, appetizers, beverages - no extra charge. A wonderful, relaxing time with dad ... family ... friends. Upon departure, we'll be serving lots of delicious hot coffee and will promptly set out a deluxe continental breakfast for all to enjoy. We'll have snacks and appetizers along the way, and before you know it, we'll be in Santa Barbara. We arrive at Santa Barbara at 10:12 AM and don't leave until 4:31 PM, so you'll have lots of time for sightseeing ... enjoying the beach, or maybe you'll take in a wine tour (we can help set you up with a local provider). While we journey home, you'll enjoy a buffet dinner and dessert (along with beverage service) while you savor the events of the day with your traveling companions ... arriving back in LA at 7:10 pm. 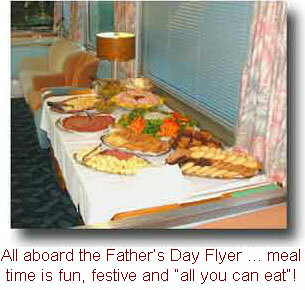 Fare includes roundtrip conveyance by deluxe private rail car, brunch northbound and buffet dinner southbound. 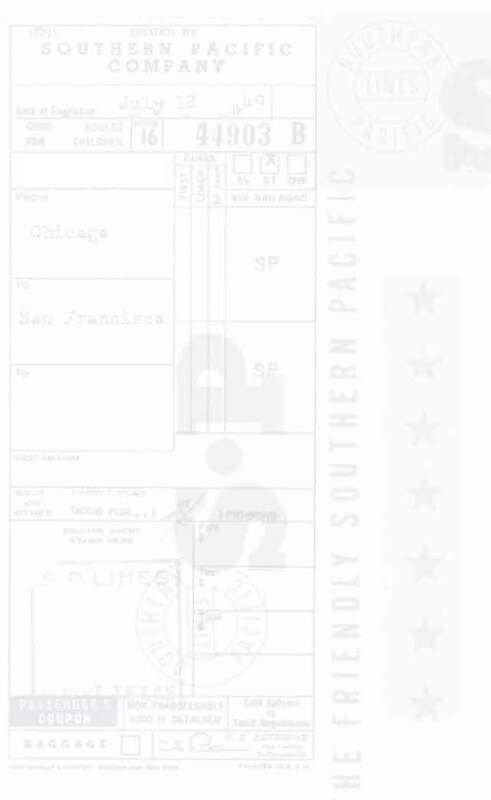 You may board at any station along the route ... sorry, not possible to adjust fare. Please call for station times other than those shown below. 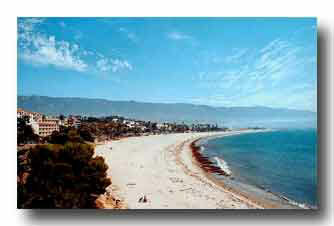 Gather up your dad, family and friends and plan a day in Santa Barbara!